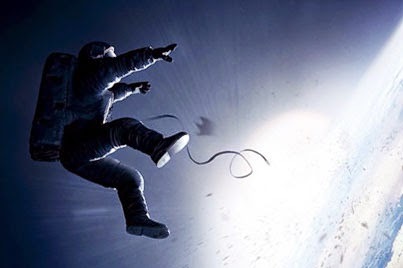 Update May 30 2015: the movie Gravity is now available for your home cinema in a unique combination with the all time Space classic '2001 A Space Odyssey'!. Find out here! The Leiden International Film Festival featured the recent space buff movie Gravity 3D in its programme. I was invited by science journalist George van Hal to share some insights to the audience on friday evening November 8, 2013, and to hint them towards some scientific shortcuts they were about to see. But first, let's start with the positive side of this movie which dwarfs these shortcomings with many orders of magnitude: WOW!, what a movie!, what a suspense!, realistic space hardware! How on Earth did they film all that microgravity environment? Excellent role by George Clooney as the male astronaut. I guess he did read 'The right stuff' in preparation for his work. He uses the astronaut style typical sort of cool in life threatening situations that this book is about. It is impossible to produce so much debris from an anti satellite missile at these low altitudes. Firstly because there is not a large amount of satellites at altitudes where Hubble Space Telescope (560 km) and ISS (400 km) are orbiting the Earth. Also, some sort of cascading effect takes place in the movie, which one could refer to the Kessler syndrome. Only, this syndrome is not something that would kick in within minutes, that will be more like decades. Nevertheless, it is a good thing that also the general public becomes aware of the rising orbital debris problem in Earth orbit. 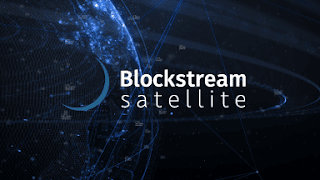 Many of us are not aware of the large dependency of the World's economy on the satellite infrastructure for telecommunications, navigation and Earth observation. After the debris hits, all the telecommunication from Space to Earth is suddenly not possible, because of the outages of telecommunication satellites. From a debris cloud rotating at Low Earth Orbit, no harm can be expected to these assets almost 100 times higher in altitude above the Earth. The Space Shuttle is called Explorer and this is not one of the now retired Space Shuttles Endeavour, Atlantis and Discovery and the ill-fated Challenger and Columbia. The mission is called STS-157. The heighest Space Shuttle mission number was STS-135, the last Space Shuttle mission that landed in the summer of 2011.